I’ve never tried eating pesto before even though I’ve passed by the bottled stuff in the supermarkets so many times when I went to look at sauces. 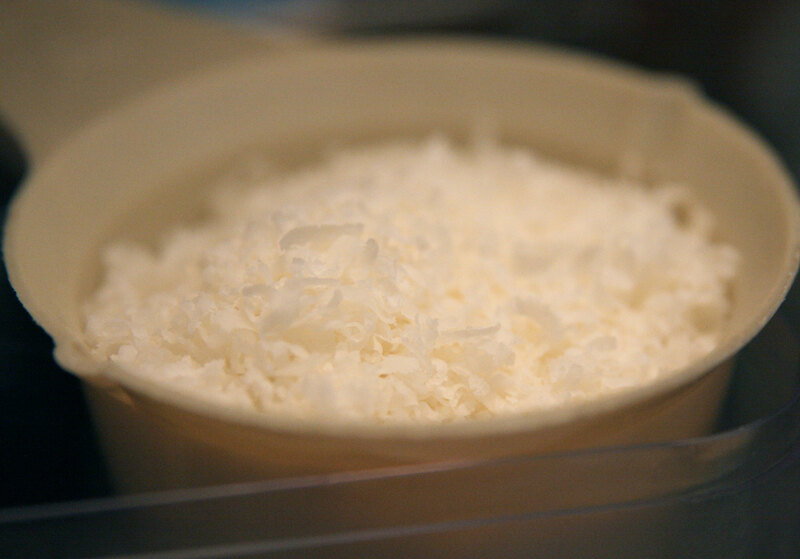 But since now I finally decided that I wanted to try it out, I wanted have to make it by hand so that it would be fresh! Pesto is a sauce that originated in Genoa, the capital of Liguria, a province in northern Italy where basil was very abundant. 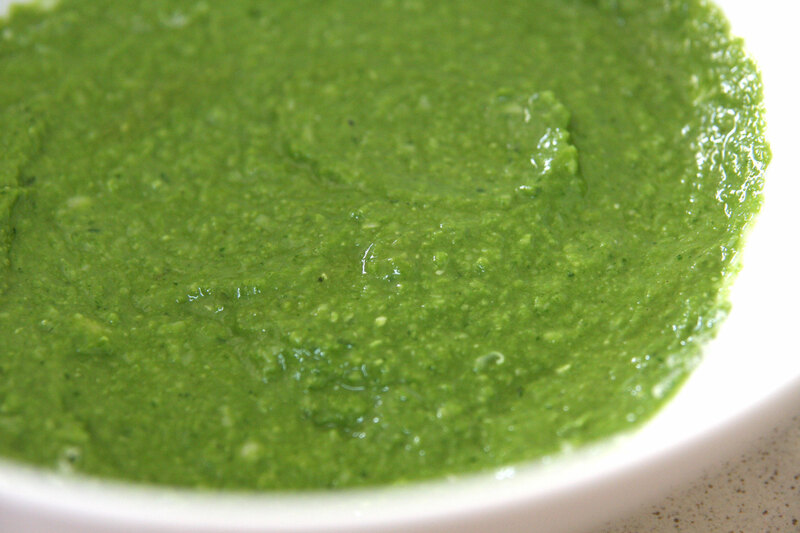 The sauce is called pesto because of how it was originally made: by crushing basil leaves with a pestle and mortar. Together that is how the name of the sauce was known as pesto alla genovese. 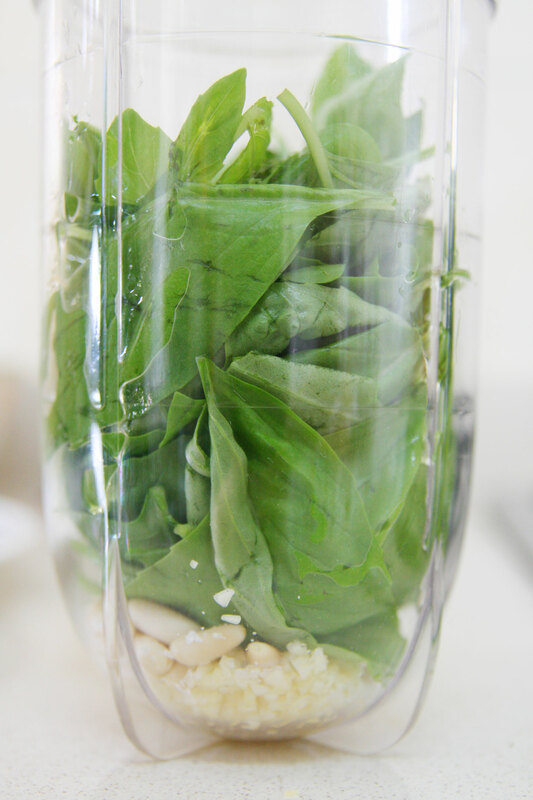 Traditionally, pesto is made of basil, garlic, olive oil, pine nuts, Parmesan and Pecorino cheeses and salt. 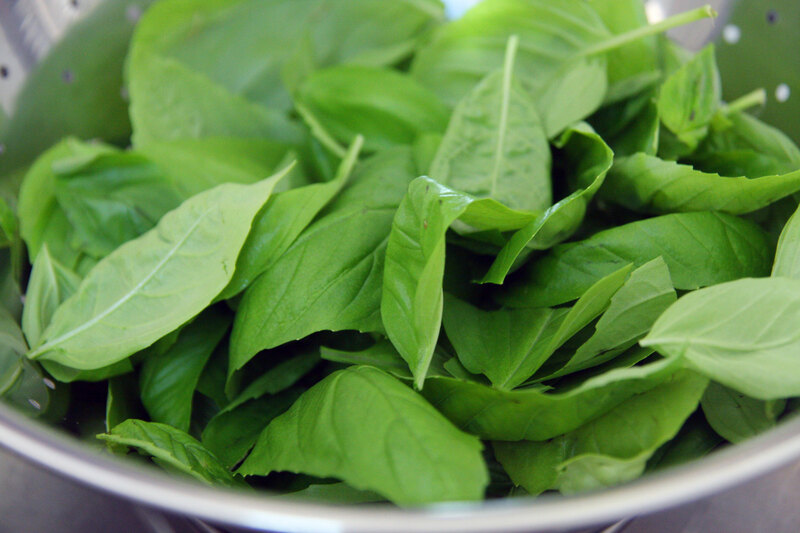 There are other variations such as pesto all siciliana or pesto alla calabrese. But I’m going to stick with the original Genovese version for this dish which also calls for boiled potatoes and green beans. However since I didn’t have green beans at hand, I substituted it with broccoli. Of course the most important ingredient are the basil leaves! The smaller leaves provide the subtler flavour but I didn’t want to waste the other leaves so I used them anyway. Sliced potatoes and broccoli. You’re supposed to boil the potatoes first then slice them really thinly but here I went for the reverse. 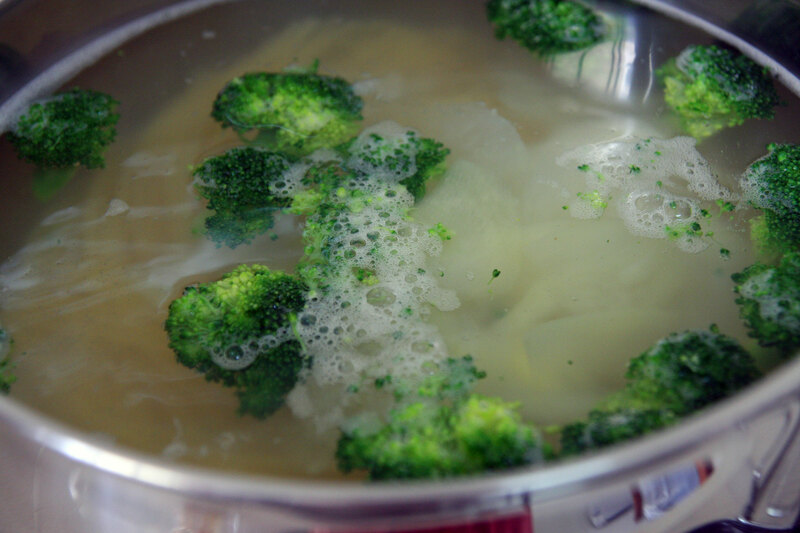 Boil them together with the pasta. 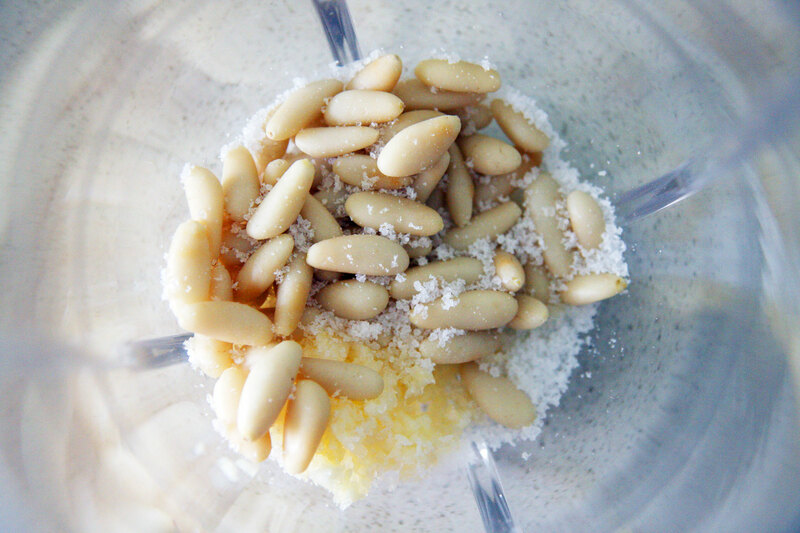 In the blender I put in pine nuts, salt, and garlic. Then squash in all the leaves. Does it blend? Yes it does! 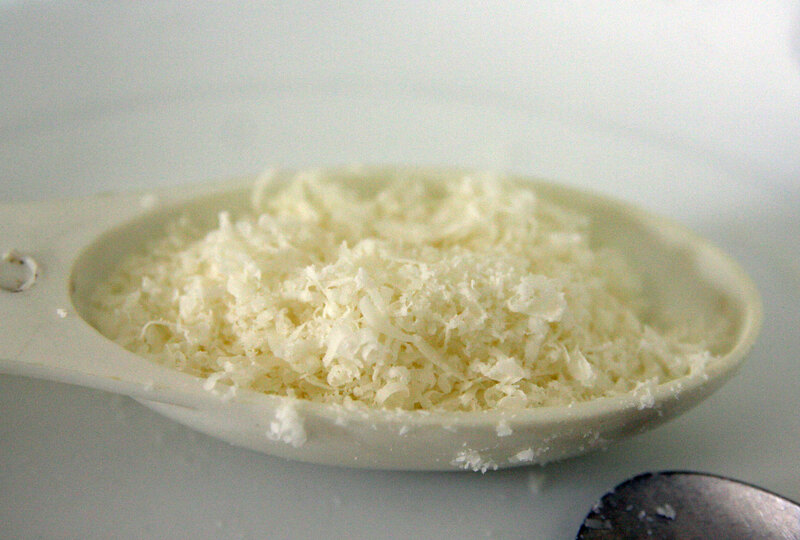 After blending, mix in the 2 kinds of cheese by hand with a tbsp of butter. The result is a rich and vibrant pesto! Now I toss the spaghetti with the pesto, potato slices and broccoli. 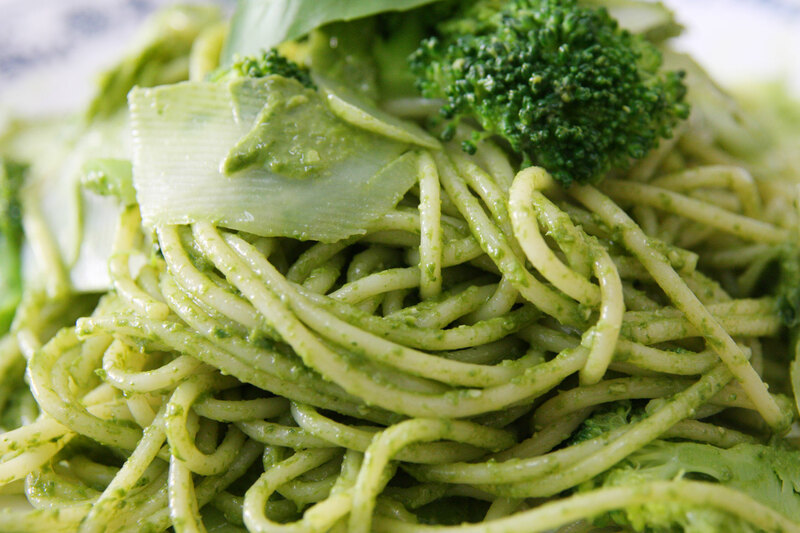 It really is superb, the pesto has this refreshing and minty taste to it that lifts the entire dish. 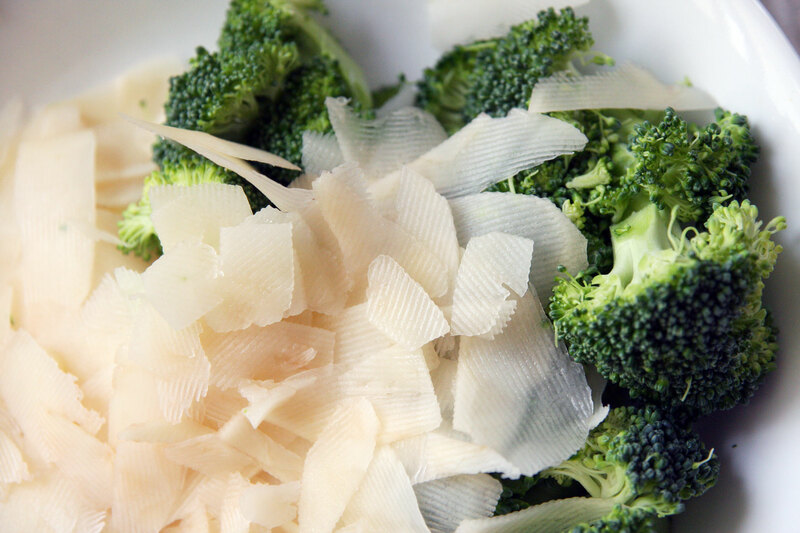 The potato slices provide a creamy feel to the spaghetti which is complemented by the crunch of the broccoli. Yummy! 10 Responses to "Spaghetti di pesto alla genovese"
next time u wanna prepare this, please invite me to your kitchen. I’ll wash the plates for you! Anything! Anything! And may I add that this is the best set of photos I’ve seen in your entries. Very Good! I love the horizontal shot of the blender. Simple. precise and straight to the point. woh! *thuMbs UP! The sause on plate shot is very good composition as well. Wat if we add a small piece of lemon really small… or cherry tomato… or Brocolli with a small part of stem to it… ( 😀 sorry carried away by photography thoughts) *it’ll kinda distract the original purpose of your photo though. and yes, please… invite me next time~!!!! For this set of photos, I’ve switched over to using a DSLR to see the difference in quality and there’s definitely an inprovement! Seems to have gotten a good reaction from everyone but I’m sure I can improve on it! Especially the final shot of the pasta, could have been ‘posed’ better, like with a small floret of basil leaves like you normally see. Haha yeah taking photos while cooking is actually quite a challenge! pesto is awesome baked on chicken or fish. but of course i use the bottled pesto lah. where i can get cheap basil?